In case you haven’t already, be sure to follow me on facebook, where you can see all of my latest work first! Here’s a little illustration I’ve done for Bido Lito, a fantastic Liverpool music magazine. It’s based on the beautiful song Heavy Feet by the Local Natives. The Boy & the Bunnet in the Sunday Herald! the perfomance of The Boy and The Bunnet! For those of you not living in bonny scotland you can read the article here! fully illustrated book here on their website. You can pre order the book here too! Some doodles and scribbles for the new fourth issue of Leaf Magazine! 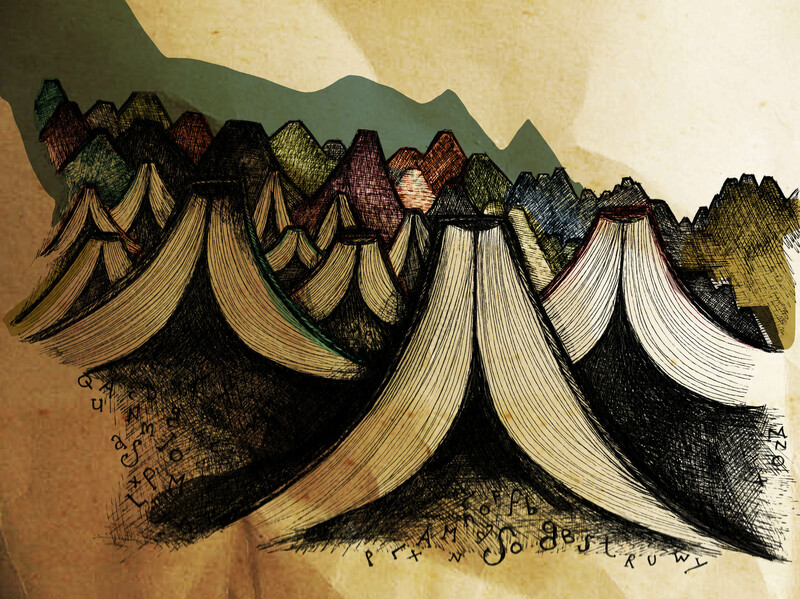 The first image is based on the Book festival and other is based on the usual theme of Writing! I’ve been using a lot of paper textures in my work recently, (using the magical tool of Photoshop!) as this is something I’ve been including in my ‘Cloud’ story, to represent the impact of weather on the pages of the book, and I’m really happy with the effects I’ve been getting from that. I also went to the Botanic Gardens on a teeny trip today where I picked up some interesting textures and colour possibilites for my Foxy story. I’m thinking ferns and lots of repetitive patters. I plan on being much more pro-active this week! go go go! Wow, so it’s been forever since my last post! I blame a combination of being ill (eeee..germs) and far too much dissertation related annoyingness. I really am starting to hate foxes.. not a good sign! Anyway on a printed note, here’s some of my latest illustration printed joy! The next Leaf Magazine! Visit the website here to get hold of your copy! And Also, NOMAD MAGAZINE IS ALMOST READY TO PRINT! Hold onto your hats because it’s going to be one awesome issue!! 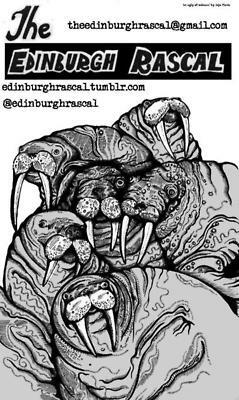 Look out for these badboyz around Edinburgh too! Over Christmas I did a little illustration for a Liverpool music magazine called Bido Lito! I got the lovely bright pink magazine in the post this morning- its very pink and very exciting! 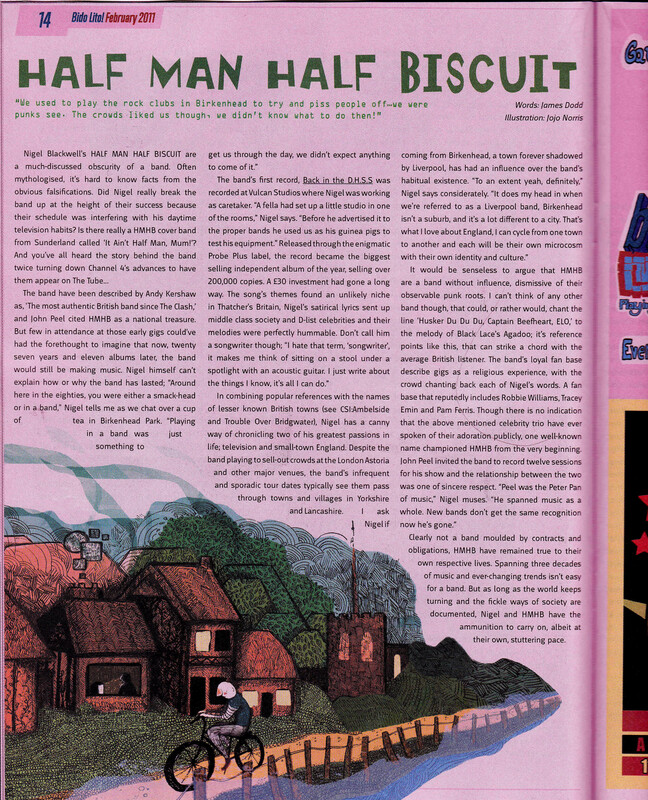 :) The article was an interview with Nigel from the band Half Man Half Biscuit. The illustration is based on something he said in his interview about loving to cycle through old British towns. Here’s a scan for you! 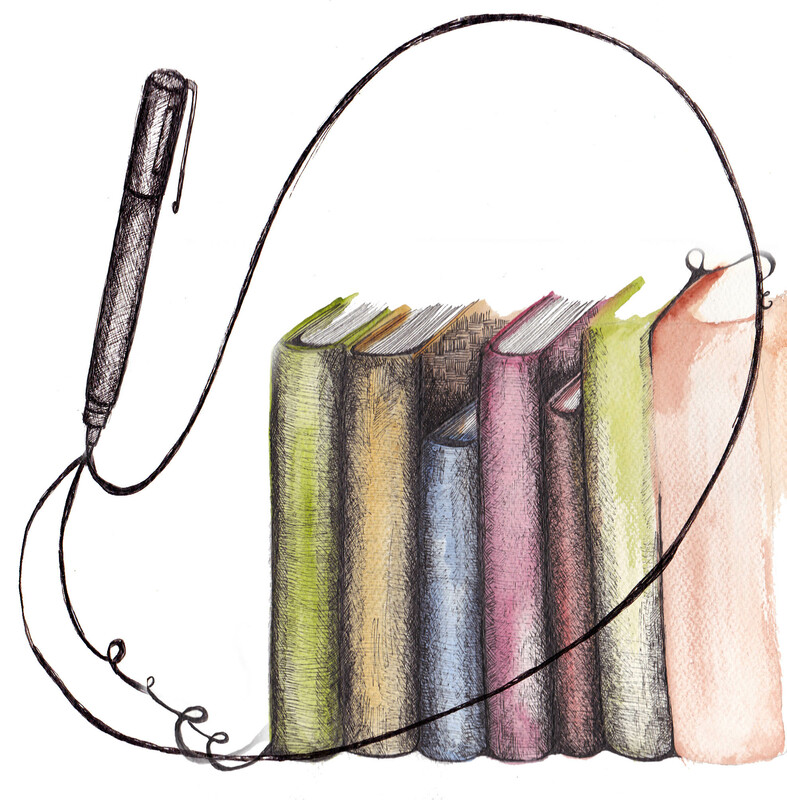 You are currently browsing the Editorial Work category at Jojo Norris Illustration.